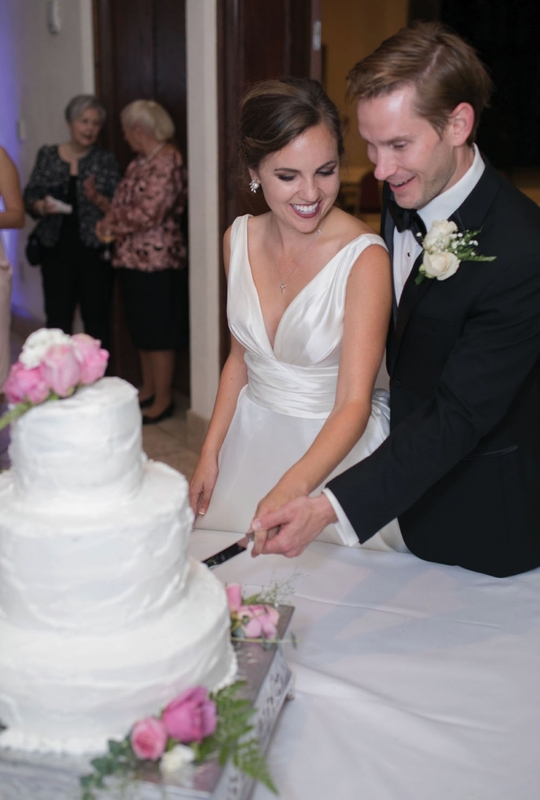 Emily Elizabeth DeVoe and Dr. Charles Earling Munderloh were united in marriage at Corpus Christi Catholic Church on September 16, 2017. Father James Dean officiated the nuptial mass alongside the bride’s friend, Deacon Gilbert Pierre. 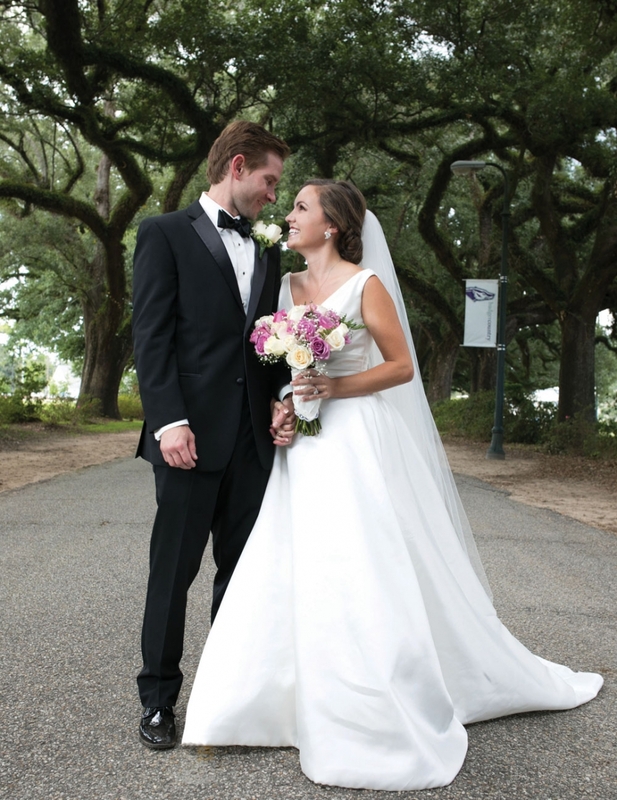 The bride wore an ivory Pronovias gown with a plunge V neckline and an elegant open square back. A hand-stitched handkerchief made from her mother’s wedding gown wrapped around the rose bouquet she held, and a custom cathedral-length lace veil trailed behind her as she walked down the aisle, escorted by her father. The bride’s sister, Leslie DeVoe, served as maid of honor, with younger sisters, Megan and Kelly DeVoe, as bridesmaids. Other bridesmaids included McGill-Toolen classmates Chelsea Fenton Lawrence, Lauren Luckie and Katie Wilson; and former coworkers Ashley Knight, anchor at WKRG, and Bailey Hicks, writer for CBS This Morning. 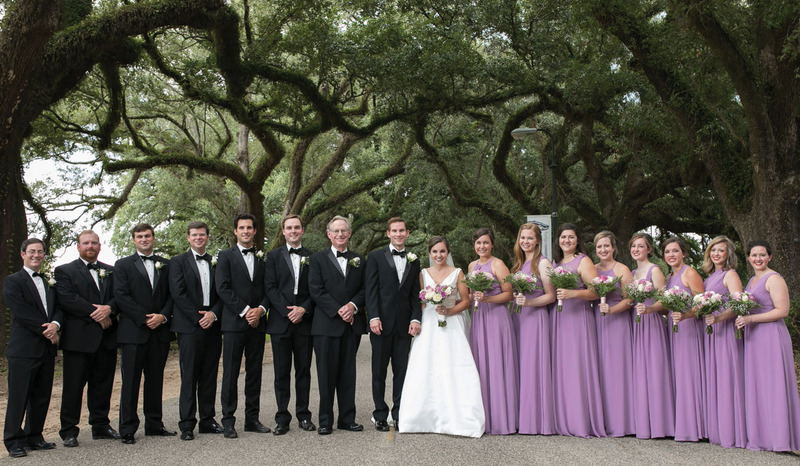 The groom’s father, Dr. Stephen Munderloh, and brother, Alex Munderloh, were his best men. The groomsmen, all UMS-Wright classmates of the groom, were McLean Bramlett, Michael Damrich, Philip Ison, Tom Leatherbury and Kirk Mattei. Ushers were Christopher Cordes, medical school classmate of the groom, and Alex Nichols, McGill-Toolen classmate of the bride. 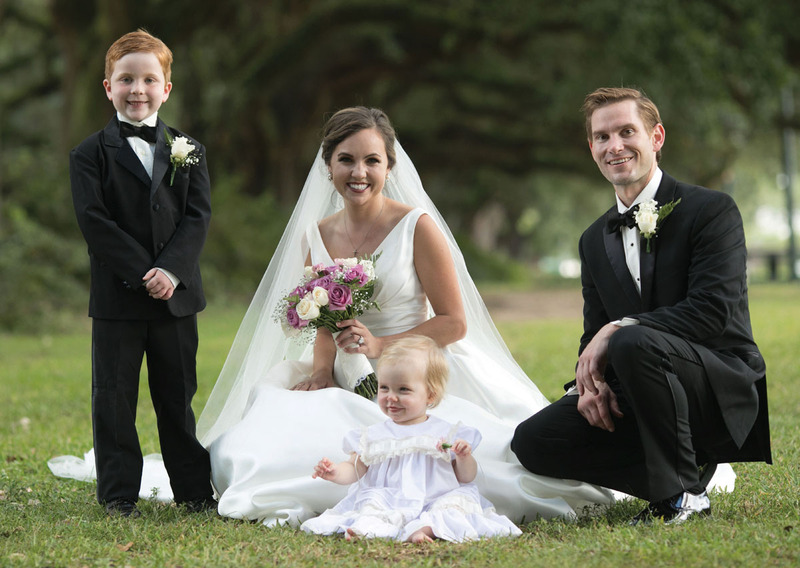 The flower girl was the groom’s niece, Catherine Munderloh, and the ring bearer was Cole Couch, cousin of the bride. Following the ceremony, guests were treated to big-band style music at a reception in the adjacent banquet hall. 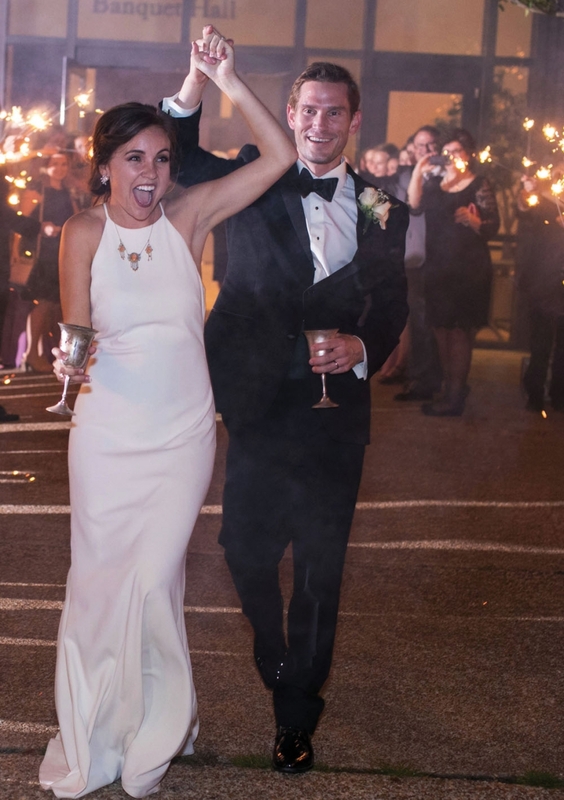 The bride changed into a white Badgley Mischka gown before the newlyweds said goodbye in a 1989 Mercedes convertible.